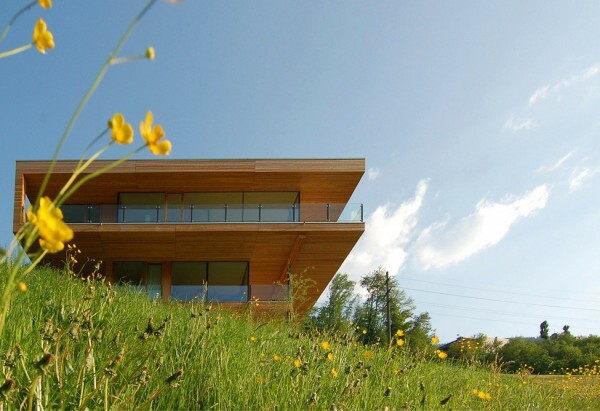 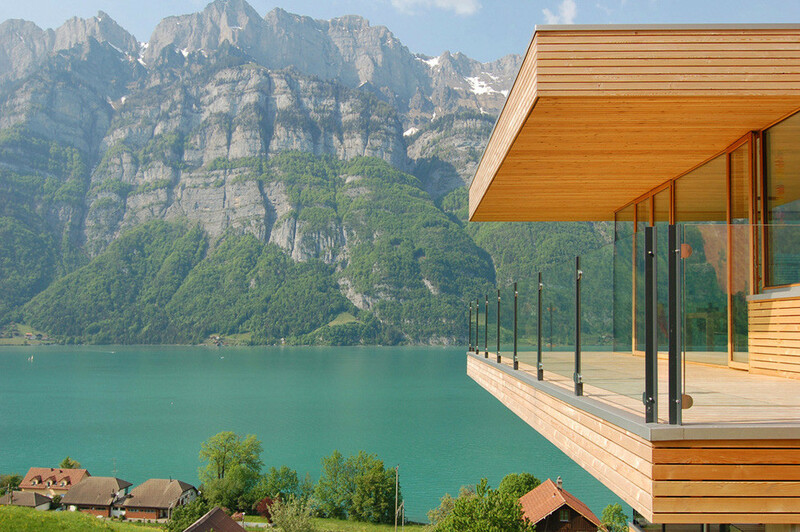 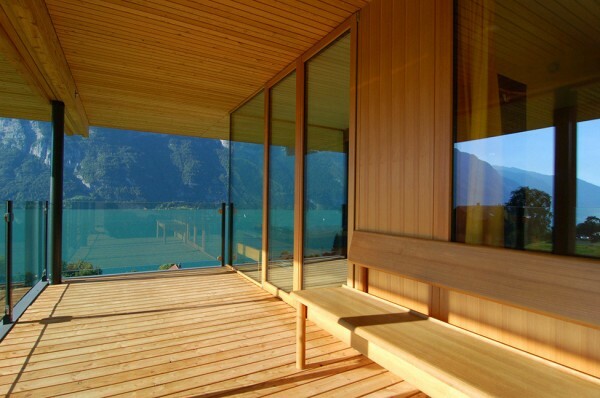 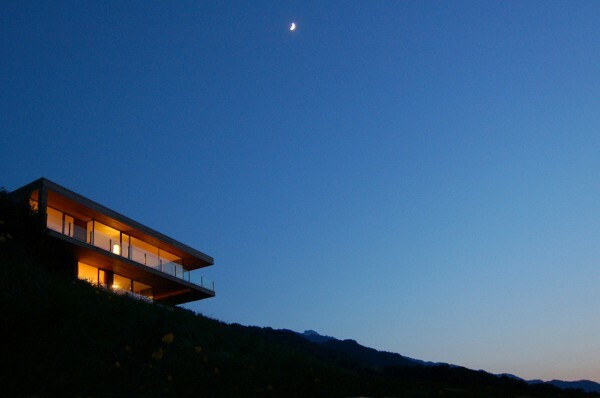 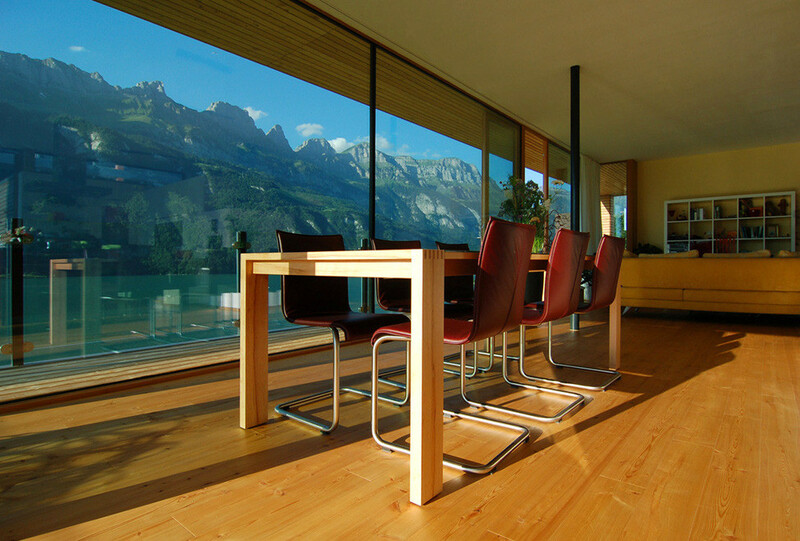 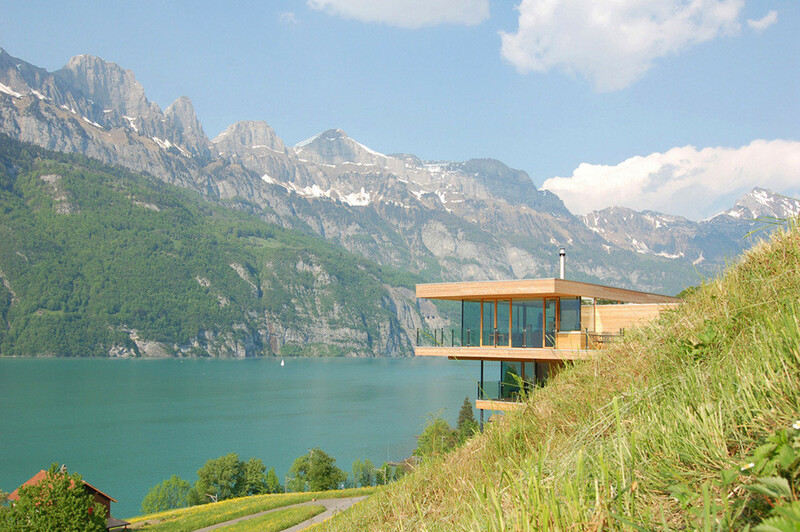 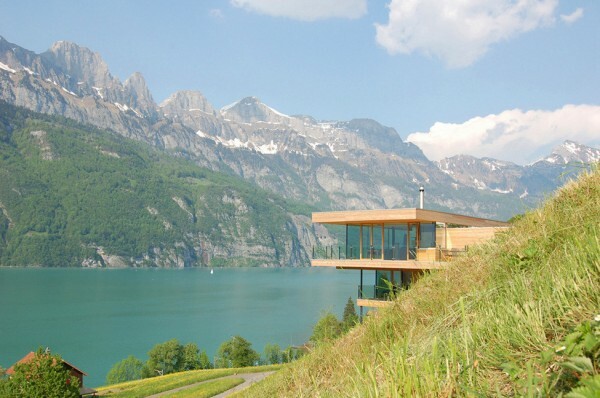 Wonderful residential project Walensee House in Switzerland. 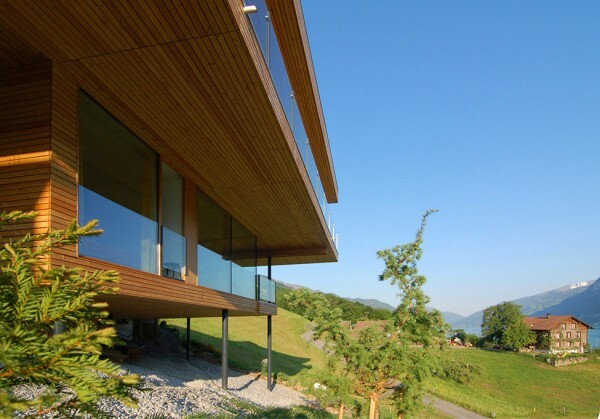 The total area of the residence is 140 sq.m. 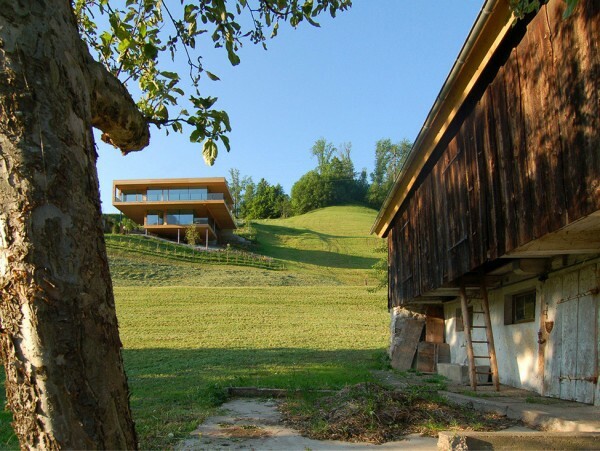 and it is located on a hillside with magnificent views of the surrounding nature: on the one side are the lake and the mountains, and on the other – beautiful green meadows. 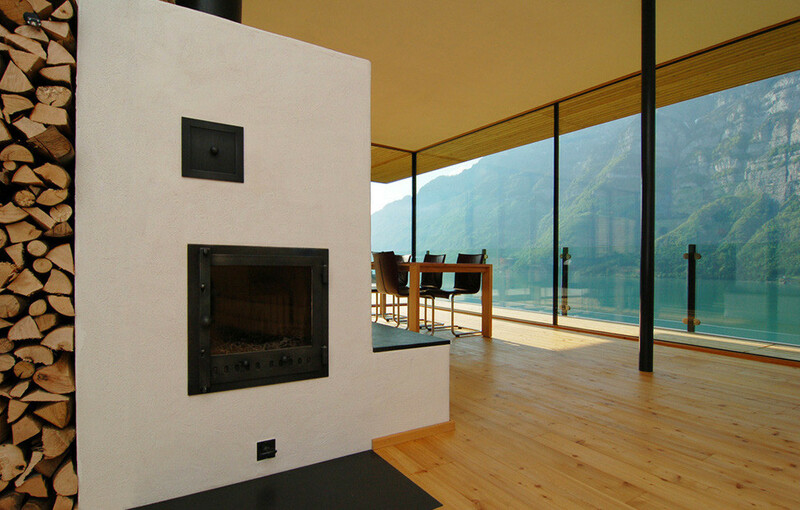 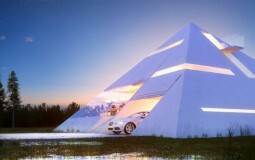 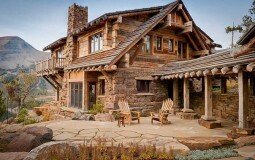 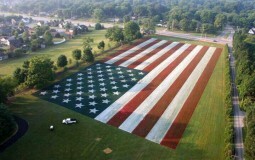 The obvious and correct solution is the use of natural materials in the project. Glass, concrete and wood were the basis of the facade. 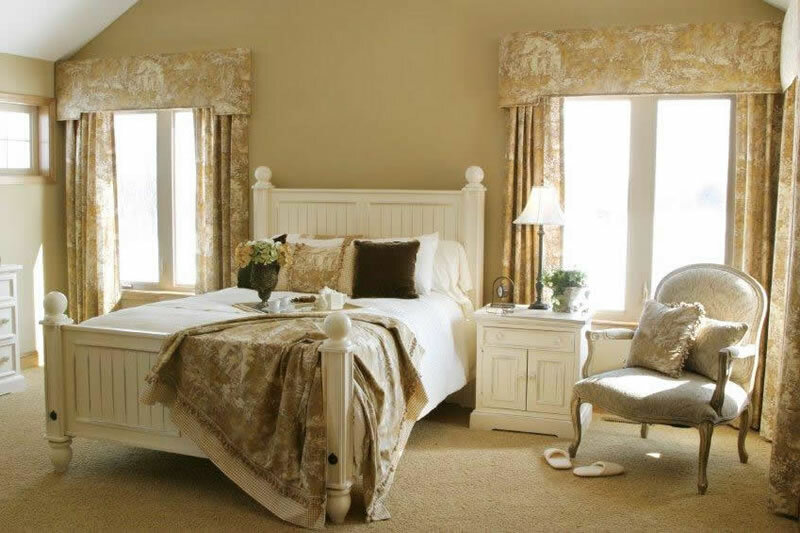 Interior design in the style of minimalism, and a country house atmosphere. 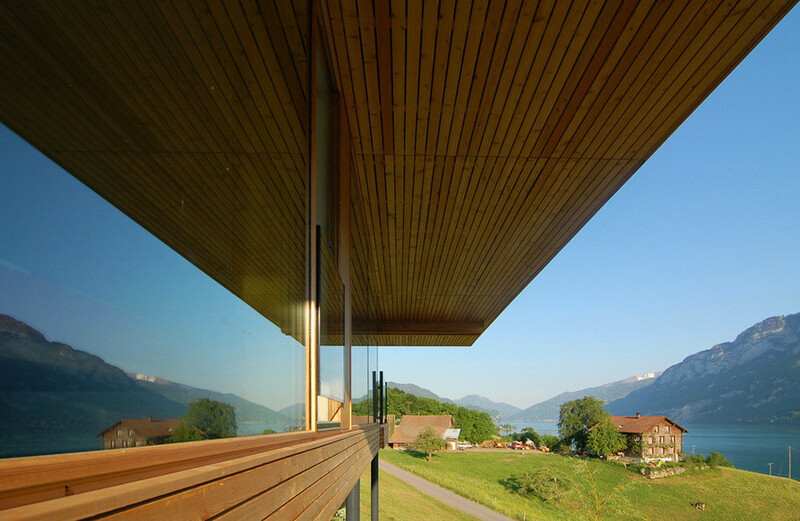 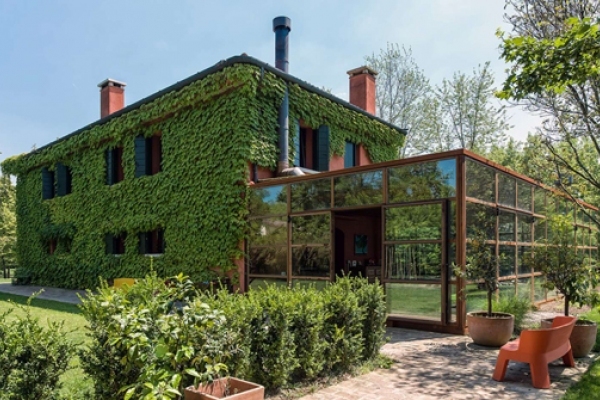 Panoramic windows and a balcony on the perimeter of the building bring together the interior with nature.